We were founded with a commitment to being a different kind of company. A company rooted in sound ethical practices, a company that treats people with dignity and its community with care – it’s who we are. As we researched B Corporations, we learned that their views, values and pledge to a greater good mirrored our aspirations. We needed to be part of this amazing group. That is why Ad Victoriam Solutions spent two-years solidifying our dedication to doing good for the world. 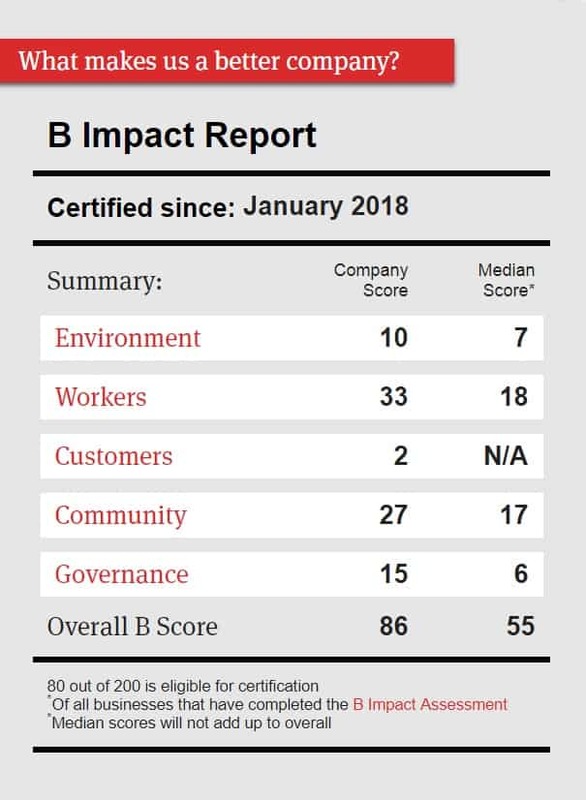 Today, we are thrilled to be a Certified B Corporation®. The rigorous certification process compelled us to look deeper into our business. To earn our B Corp Certification, our passionate team, along with five talented MBA students from UGA, examined our business practices, developed new ways to increase our dedication to social and environmental causes, and implemented solutions throughout our corporation to achieve an even higher standard of doing business. Now, our success is not just judged by profits, but also by how we use our talents and resources to have lasting positive effects on the world. Download our 2018 Social Impact Report to see how our pledge to do good impacted the communities we serve. Certified B Corporations are leaders of a global movement of people using business as a force for good. They meet the highest standards of overall social and environmental performance, transparency and accountability, and aspire to use the power of business to solve social and environmental problems. Ad Victoriam Solutions is proud to join forces with more than 2,300 B Corporations who are part of this movement. Together, we know we will achieve more. It’s simple. We are as passionate about serving our clients Salesforce business solutions as we are about using our talents and resources to serve people and the environment. We believe this group of businesses have the power to make positive change for people, communities, and the planet—changes that will benefit the future of all of our children. Since the beginning, Ad Victoriam Solutions has supported our communities with our time and talent. While we've improved low income housing, raised funds for disease research, saved homeless dogs and fed hungry children, our primary focus is to help non-profit organizations optimize their Salesforce platforms. 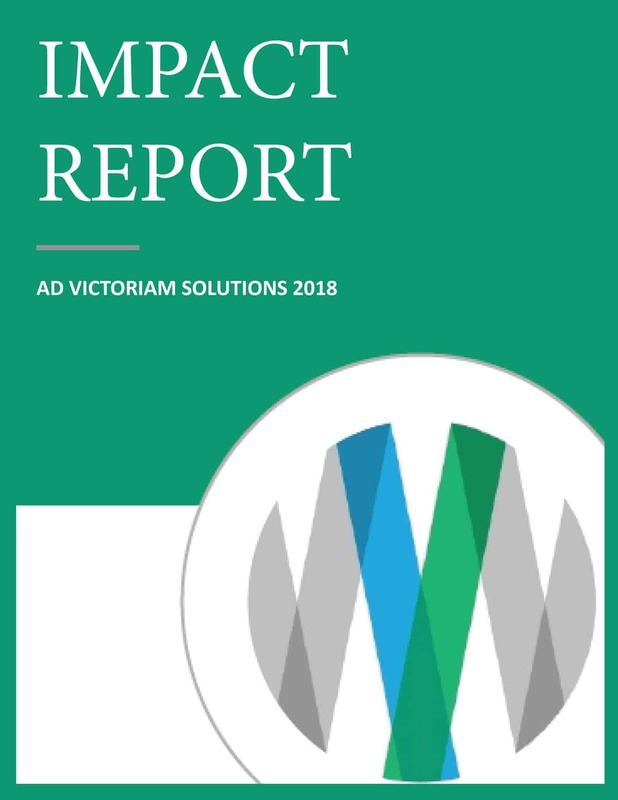 Because of this success, we launched the Ad Victoriam Victory Project for non-profits. Non-profits are short on resources and big on ideas. We want to eliminate this barrier so they can expand their reach and increase their impact. That’s where The Victory Project comes in. As part of this program, our experienced non-profit Salesforce consultants help implement or enhance Salesforce, at zero cost to a non-profit organization. Does your non-profit organization need help with its technology solutions? Good Solutions for the World. Ad Victoriam Solutions. “We want to be known as much for our philanthropic work as we are for our core business.